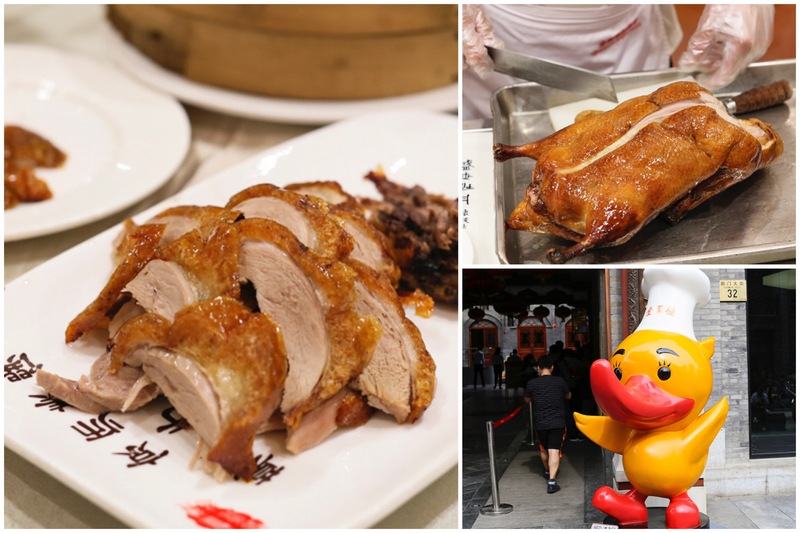 [Beijing] Quanjude 全聚德 is Beijing’s oldest roast duck restaurant, being founded in the year 1864. That is over 150 years ago. 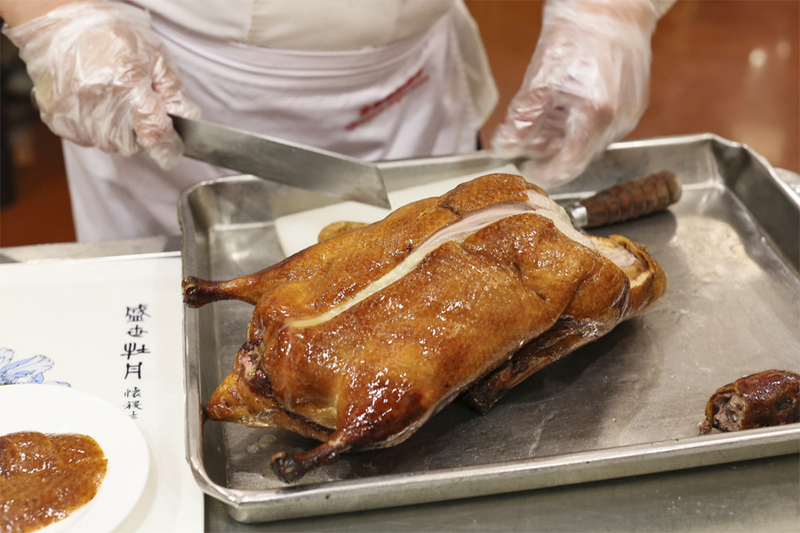 The name “Quanjude” is synonymous with traditional Beijing Roast Duck, otherwise known as Peking Duck. 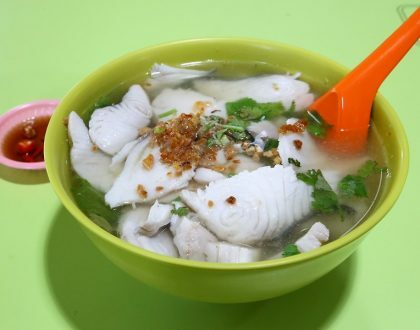 This special cuisine is popular with the heads of state, government officials, people from all walks of life, and tourists from home and abroad. 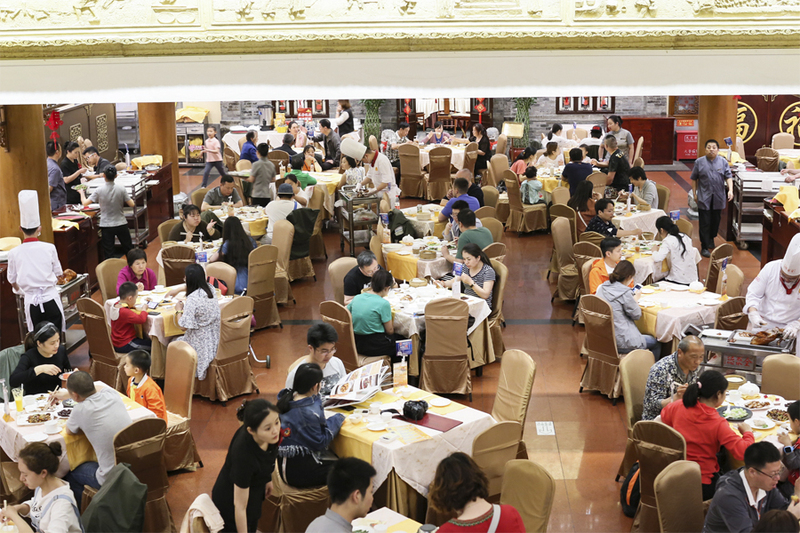 This is the restaurant where foreign dignitaries – from Richard Nixon to Fidel Castro – and high profile visitors are brought to dine at when visiting Beijing. 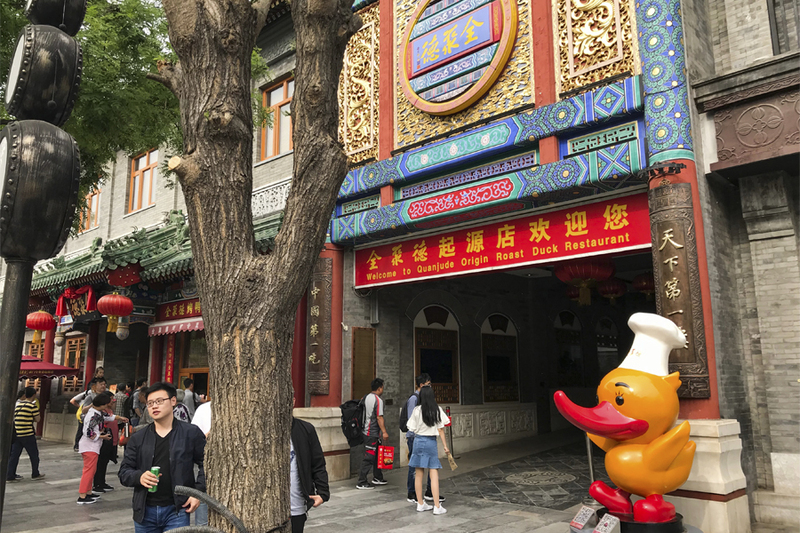 Ask a random local on the street about what to do in Bejiing, most of them are likely to direct you to taste roast duck in Quanjude. 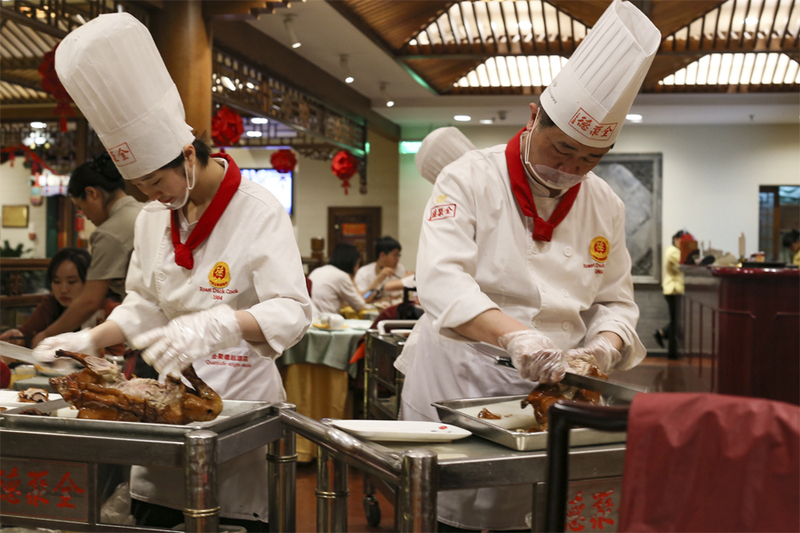 In the sea of Peking Duck restaurants in the city, this is the most famous brand among Chinese diners. 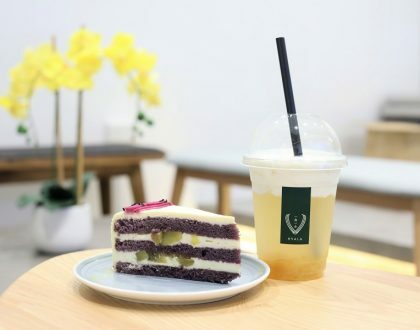 Yang Quanren, its founder, hailed from Zhangzhou. He left his hometown during the Xianfen period of the Qing dynasty to make a living selling chickens and ducks along Qian Men street. Quan means “perfection without a flaw”, Ju means “gathering without departing”, and De means “virtues to be supreme”. Quanjude together means perfection, union and benevolence. He asked scholar Cai Zilong to create a black and gold plaque with the 3 characters of “Quan Du De”. 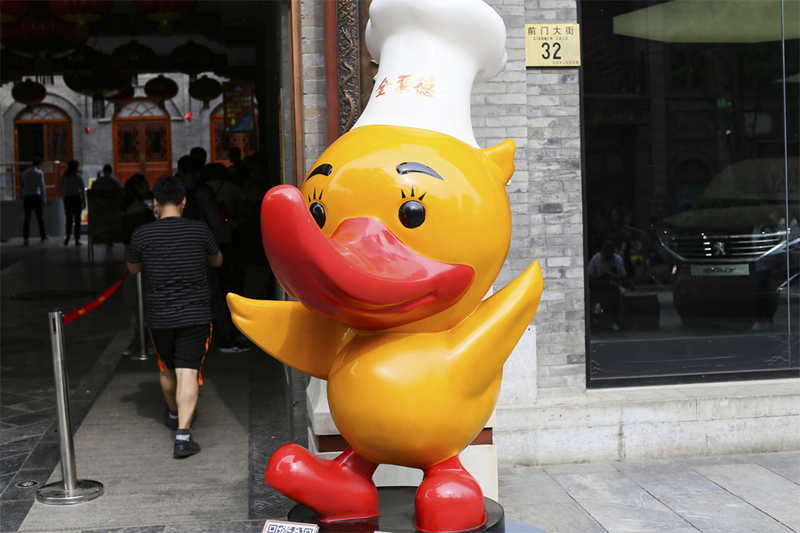 On July 9, 1864, Quanjude opened its doors of his roast duck business, with loud sounds of fireworks. 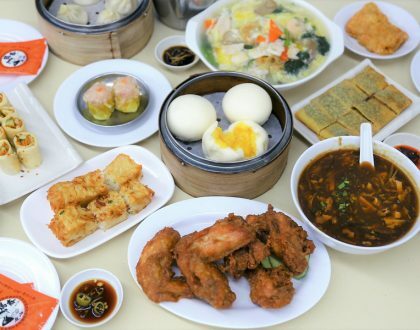 Known as“the first Chinese food”, Quanjude’s “full duck seat” has been repeatedly chosen by the beloved Premier Zhou Enlai as a state banquet. 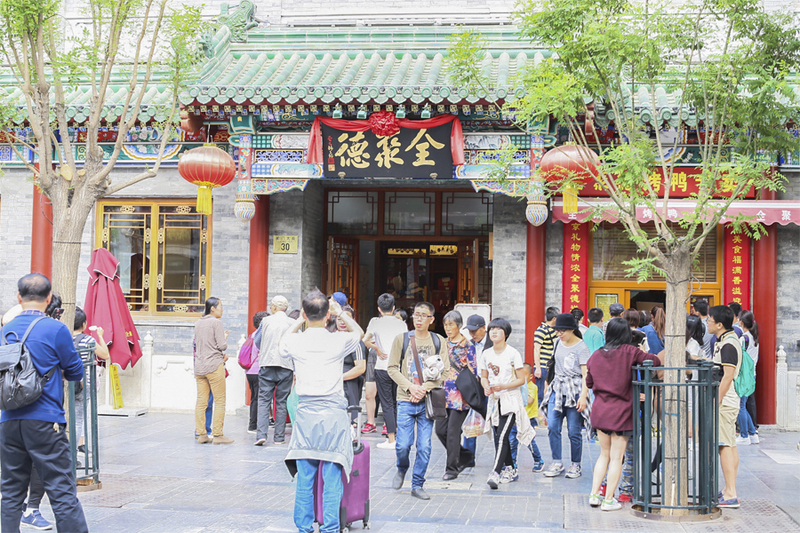 The Qianmen Avenue store is a 1,600-meter-long revamped Qing Dynasty-style shopping street in front of the Forbidden City. Perhaps the most spectacular among all the branches in Beijing. 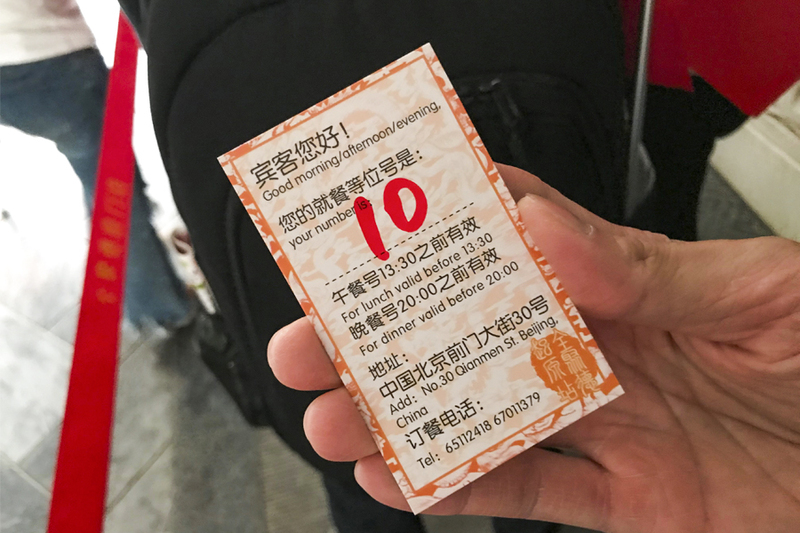 Due to its popularity, they serve busloads of tourists every day. Here’s the thing, I tried to reserve but was told I couldn’t. As you walk in, you will see the large dining hall with high ceilings. Space is maximized so the tables are quite crammed. Décor is traditional Chinese style. 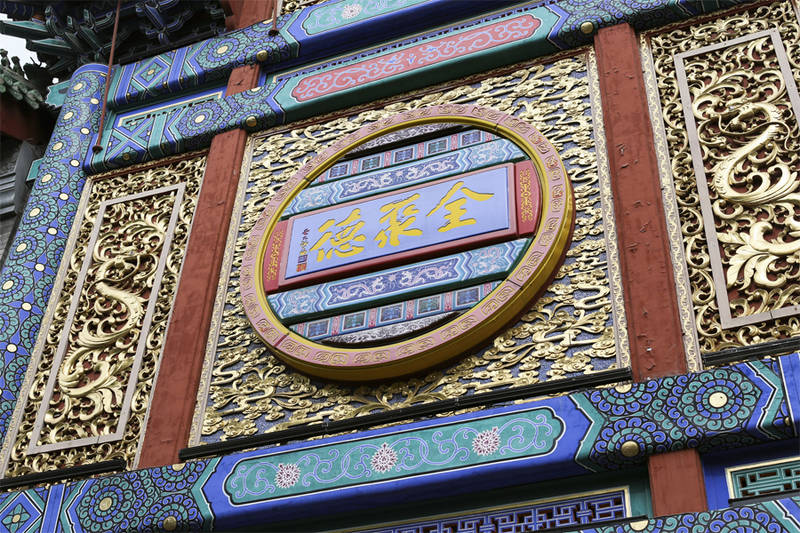 Behind an elaborate and gilded façade lies the ovens that have been roasting authentic ducks since 1864 when Emperor Tongzhi was still on the throne. 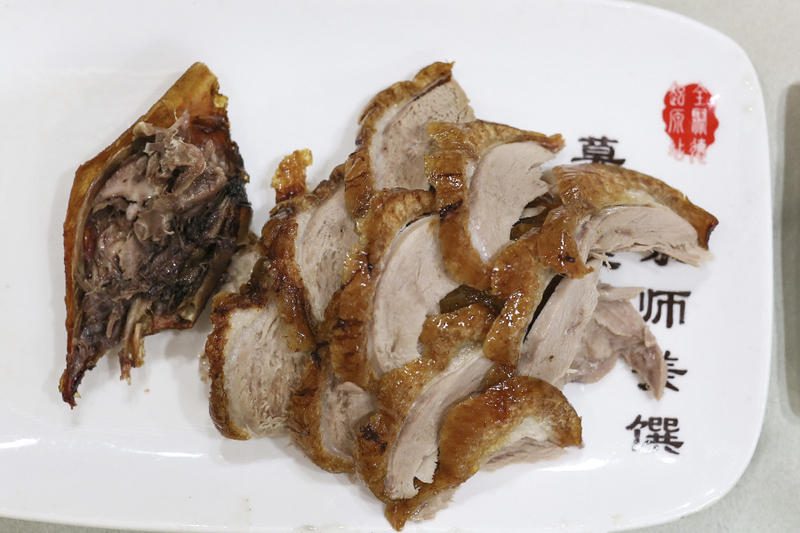 Recommended is its signature Roast Duck (RMB258, SGD54.28). Every single duck has an ID number and certificate, from the very first duck roasted since the opening of the restaurant, a century and a half ago. Famed for the layer of juicy fat which lies under the golden-brown skin – in pancakes with shallots and cucumber. They carve it tableside in 3 different ways. 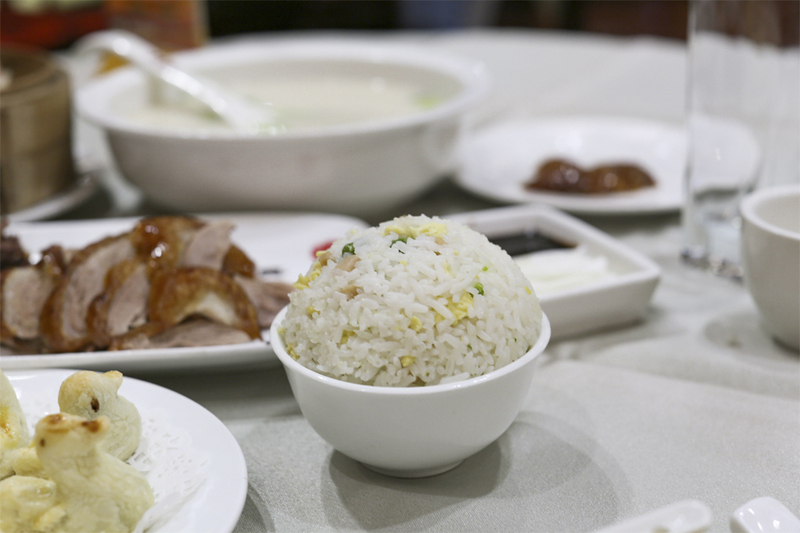 To be really honest, I thought that the Roast Duck I had was just all right, as perhaps I was expecting much more. While the meat was generally moist and tender, the skin could have been a lot crispier and glossy. Basically lacking in the “wow” factor for such as renowned brand. 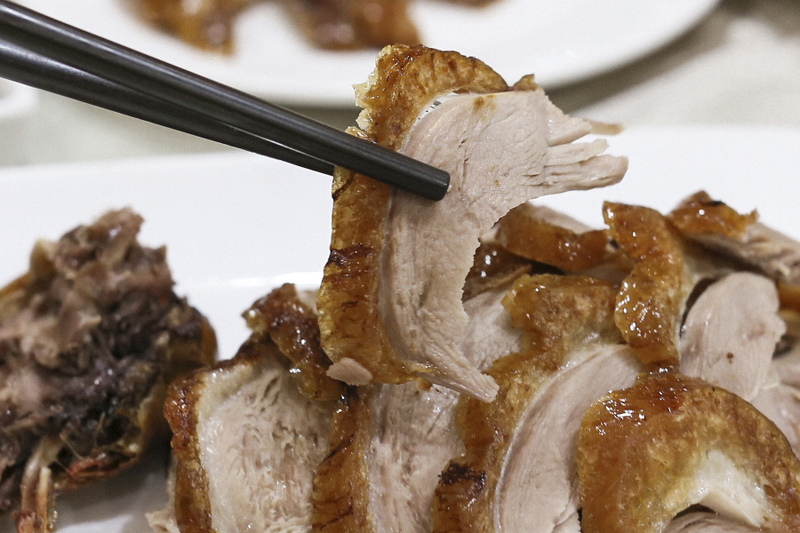 Apart from the roast duck, they have a wide variety of duck-related dishes, many of them contain offal and duck feet. The Duck Feet with Mustard, an appetizer, is a restaurant specialty. 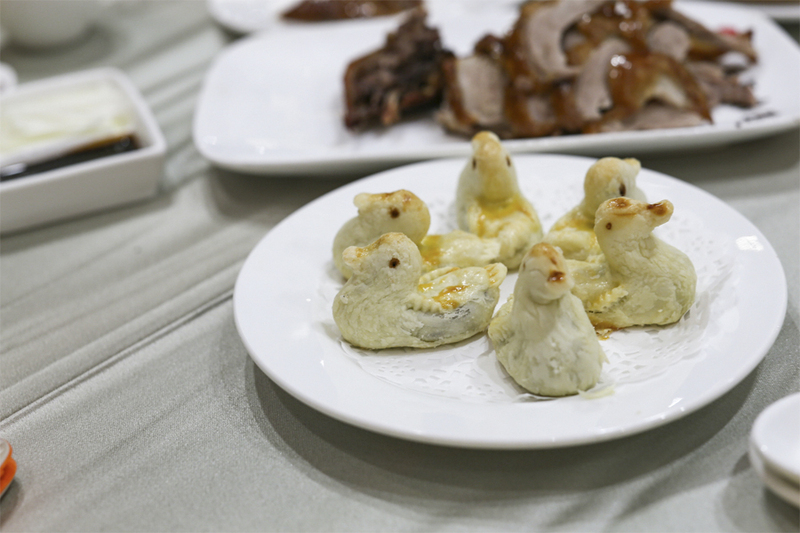 The Duck Shaped Pastry (RMB24, SGD5) looked nothing like the cute ones on the menu. Tasting rather powdery and were actually sweet, I would probably give this a miss if I were to return. Some asked about the difference between Da Dong大董 and this. 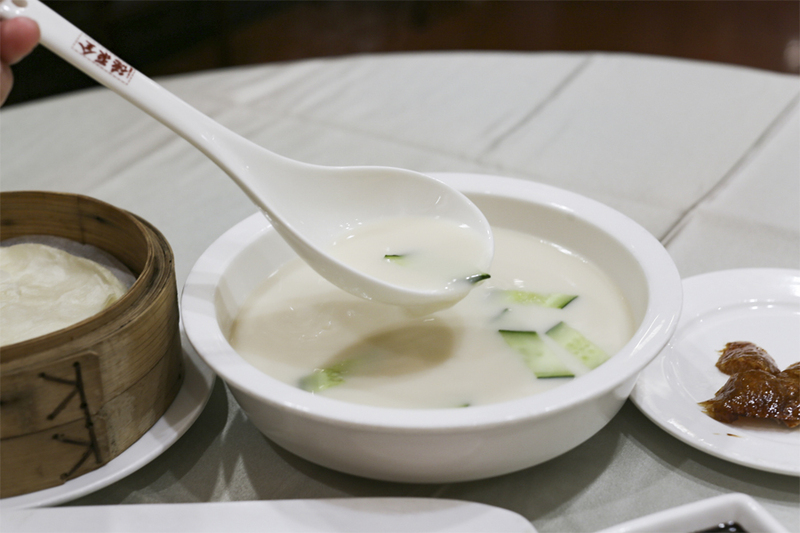 While Da Dong is focused on a modern healthier version – with lighter skin, beautiful texture and presentation, Quanjude is more traditional, with the skin noticeably heavier and oilier. Still a visit to tick off the bucket list.